Harry Potter fans just keep giving, and we do not think that the fandom will ever end. 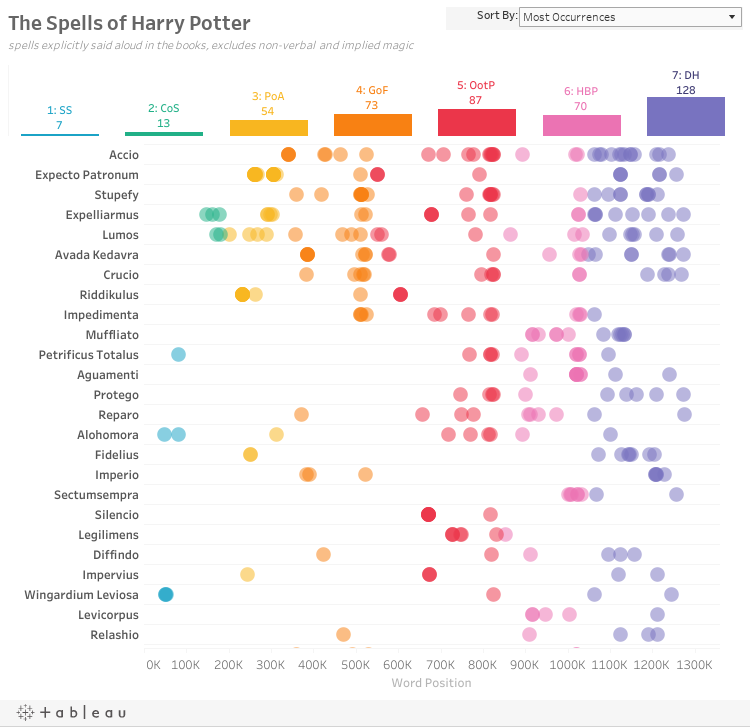 In this chart, Potter-head Skyler Johnson has mapped out every spell ever used in the series, including information about when and how often they were cast. The most used spells? Accio, Expecto Patronum, Stupefy, Expelliarmus, and the unforgivable Avada Kedavra. 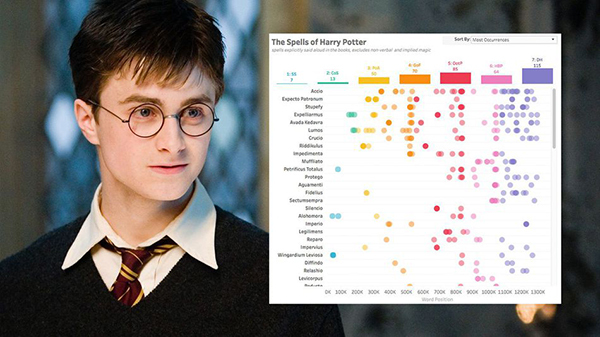 View the chart below, which will take you down memory lane and maybe entice you to reread all of the Harry Potter books.